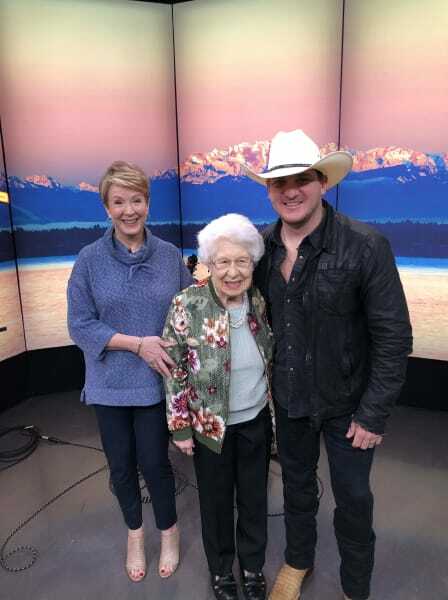 Louise George had the chance to discuss her trip with Puget Sound Honor Flight with host Margaret Larson when she appeared on New Day Northwest on KING TV in Seattle. 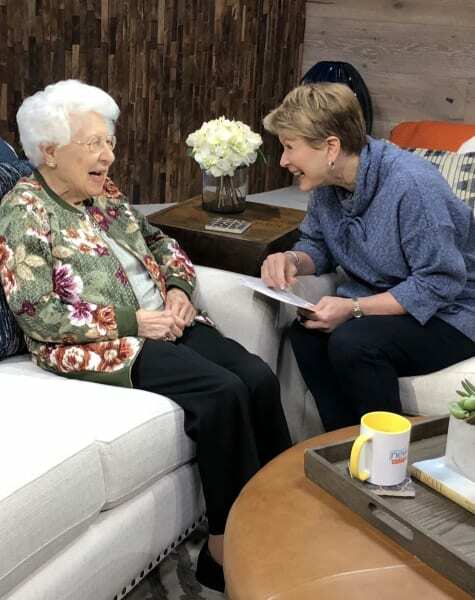 Margaret shared a laugh with Louise, who just celebrated her 101st birthday. 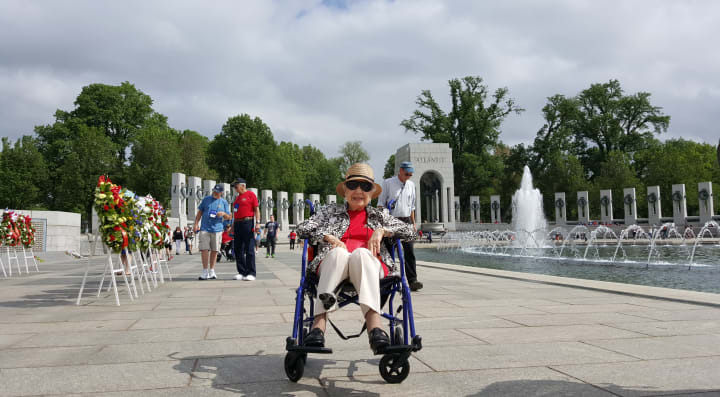 Louise served in the Marines in WWII and she was thrilled to make the journey with Puget Sound Honor Flight to Washington D.C. Louise lives at Merrill Gardens at Renton Centre, WA and the community helped arrange her trip with Honor Flight. Non-profit Puget Sound Honor Flight has taken thousands of veterans to Washington D.C. and a large group of Merrill Gardens residents will be making the trip later this year. 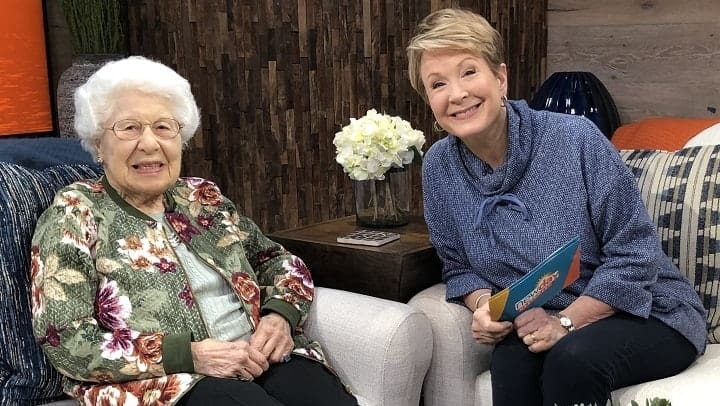 After interviewing her, Margaret told the audience that Louise was her new hero! 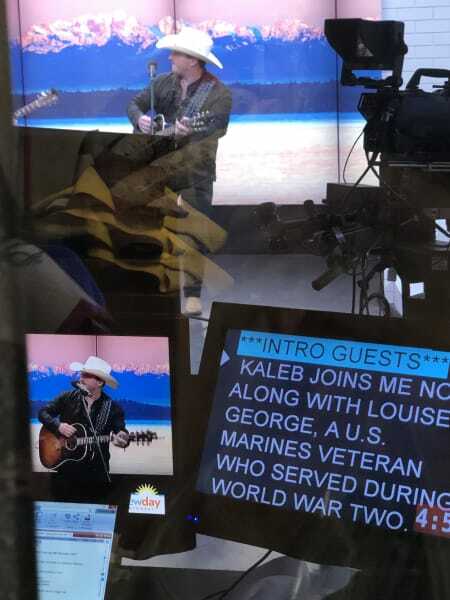 You can watch the New Day Northwest segment here.